If you and your partner are going through a divorce, it’s incredibly important that you take the time to talk with your child about what’s happening and to help them deal with their emotions. Depending on your child’s age, they may feel a variety of emotions. They might feel sad, relieved, frustrated, or scared. Your child might even feel anger. This is one of the most common emotions a child can experience when their parents are getting divorced. Fortunately, there are several things you can do dealing with divorce and children. While you might be tempted to wait until things are almost finalized before you speak with your child, it’s important that you talk with them often and early. Your child will be able to sense that things are changing around the home and that family dynamics are shifting. Talking with your child will let them know you trust them and care about them. Don’t spring the divorce on them at the last second. Instead, once you and your partner have agreed to separate, sit down with your child and have an open and honest discussion. While you don’t need to answer all of your child’s specific questions, it is important that you address as many questions as you reasonably can. For example, your child doesn’t need to know about infidelity that led to the divorce. What you can say is that you and your partner have chosen to separate, but that both of you still love them. Focus on your child’s relationships with both of you and place an emphasis on the fact that you will still be a family. Do not say negative things about your spouse because it will increase their anger and damage them. There are many age-appropriate books that deal with the issues divorced children experience. Consider reading some with your child to help them identify and talk about their feelings. This also serves to let your child know they aren’t completely alone. There may be times when they feel scared and your child may lash out in anger. Developing the knowledge that there are other children going through the same thing can be helpful. If you and your partner are on speaking terms, try to spend time together with your child. If this isn’t a possibility, you should focus on spending individual time with your child. Focus on giving your child plenty of attention and on making new memories you can reflect back on together. Make sure you consider counseling for your child if they continue to experience high levels of anger. While taking time to get used to the divorce is normal, therapy can offer reasonable ways for your child to cope with their emotions. It’s important to help your child learn to navigate their feelings and to deal with their anger in appropriate ways. Therapy can help give you the skills you need to help your child. Whether your child is two or fifteen, it’s important that you take the time to help them learn to identify and cope with their emotions. While your child will have periods of feeling angry or sad, you can make a difference in how your child holds onto these emotions. Remember that divorce is a process that affects everyone and learning to live with your new family dynamics can take time. Be patient with your child, your former spouse, and most of all, yourself. You’re all in this together. 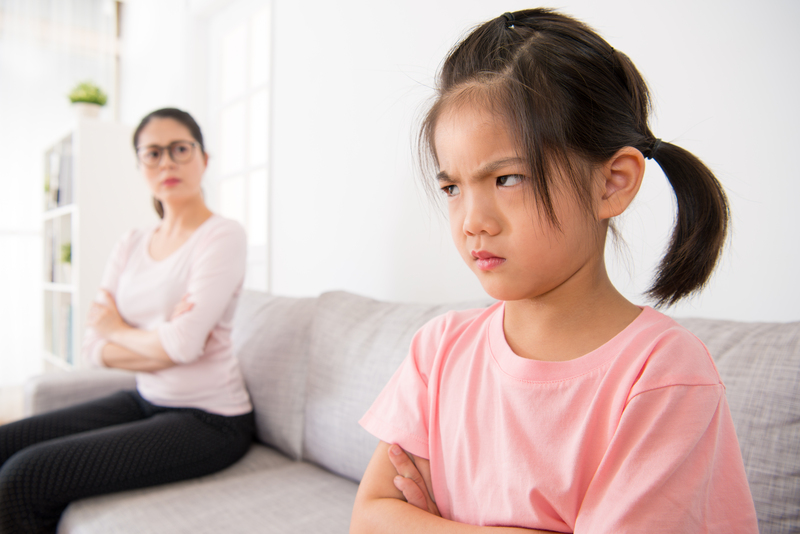 If you have any questions about divorce and children, call the Law Offices of Peter Van Aulen at (201) 845-7400 for a free in office consultation.